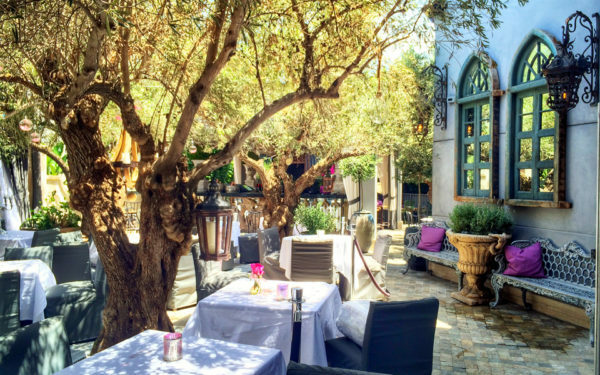 If you are looking for a romantic place to dine that’s right in the heart of Weho, look no further than Lisa Vanderpump’s Pump. The “Real Housewives of Beverly Hills” and “VanderPump Rules” star created a magical outdoor dining area serving reasonably priced, eclectic food under the stars. The outdoor garden bar and indoor lounge make Pump a great place to meet for a potential date. And if you are single and ready to mingle, weekends at Pump are exciting, with a live DJ playing music, creating a cool vibe for patrons. “We get so many people at our bar during the weekend, the fresh air and fire pits—our customers love our vibe!” enthused Schropp. Pump has a variety of fun cocktails that are refreshing and perfect for a hot summer night. The food is not the only thing that excites people—Constantin gets hit on every day. “We are wearing tight pink shirts that are open down to our chest, of course, all the waiters get asked out!” he quipped. To finish out your meal, you can check out the desserts, the bakery Sweet Lady Jane brings in, like red velvet, chocolate and carrot cake. When you are finished walking the nearly 4 mile #ResistMarch on June 11, we would highly recommend Pump’s Pride menu. Pump promises a fabulous array of proud offerings that will is sure to satisfy your resistant soul.